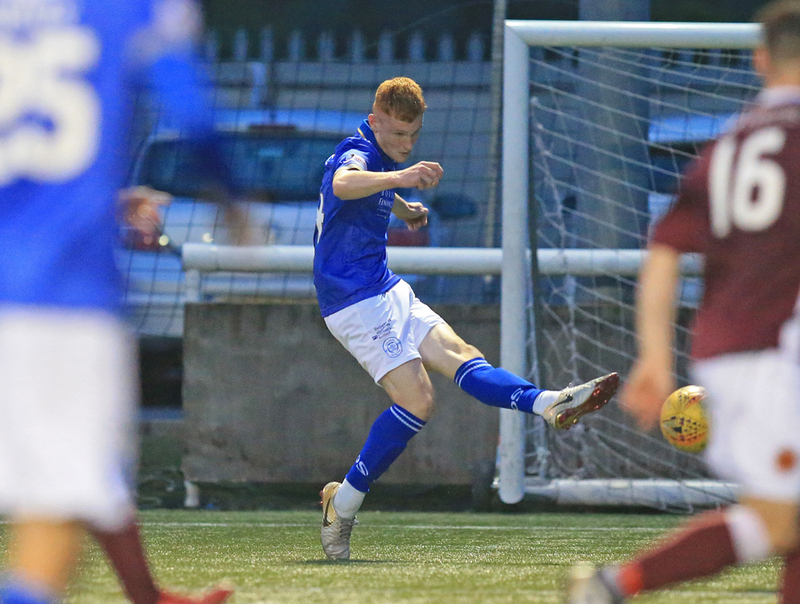 With a small squad and another cup tie coming on Saturday, Gary Naysmith chose to rest some of his regular starters tonight with Martin, Fordyce, Harkins and Dobbie all dropping to the bench and Josh Todd getting a night off completely. There was a first half in the game but thats really as much as you need to know about it. There was little in the way of football to enjoy and even fewer chances, with neither keeper called into anything but the most basic of action. 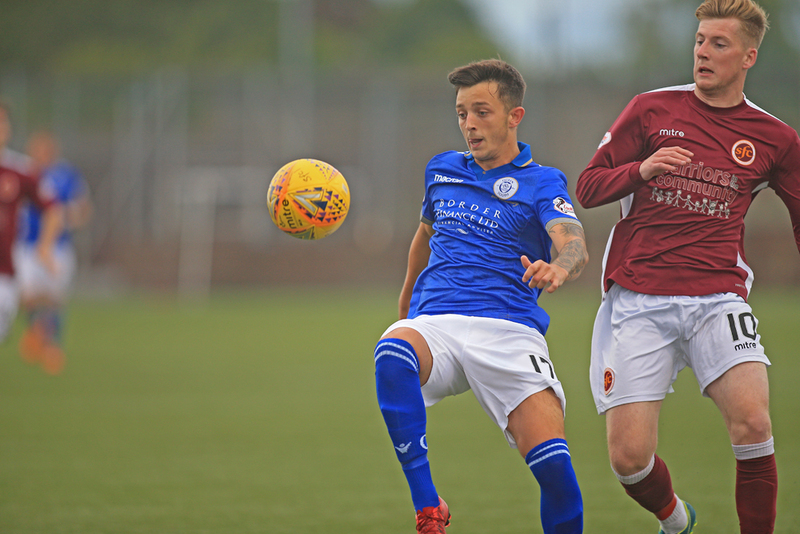 The match continued in a similar pattern at the start of the second half, although it was now Queens enjoying the bulk of the play as Stenhousemuir struggled to get out of their own half against the wind. 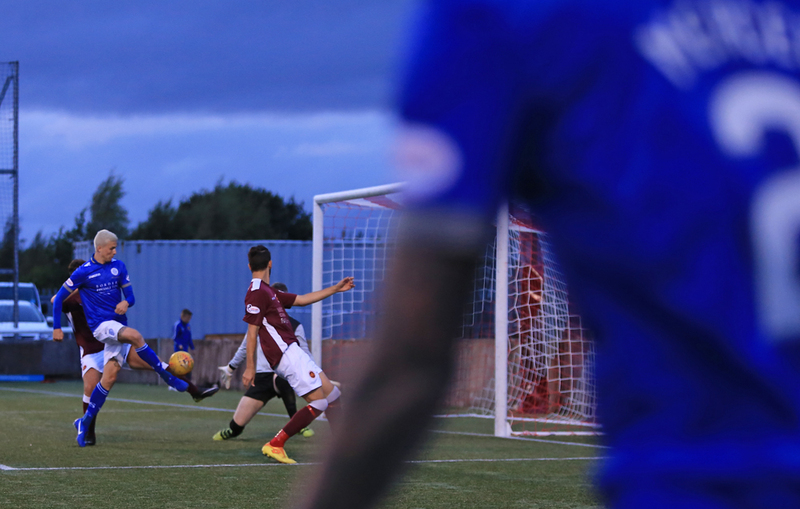 A high and wide Connor Murray shot on 54 minutes summed up the quality so far. Naysmith gave it just 10 minutes before making, what turned out to be - to the surprise of no one - an inspired substitution. Tremble had put in plenty of effort, on his first start, and done everything he could to get involved in the game but was having a difficult night up against the experienced Jesus Garcia Tena at the heart of the home defence and the young striker made way for a certain Mr S. Dobbie on 55 minutes. 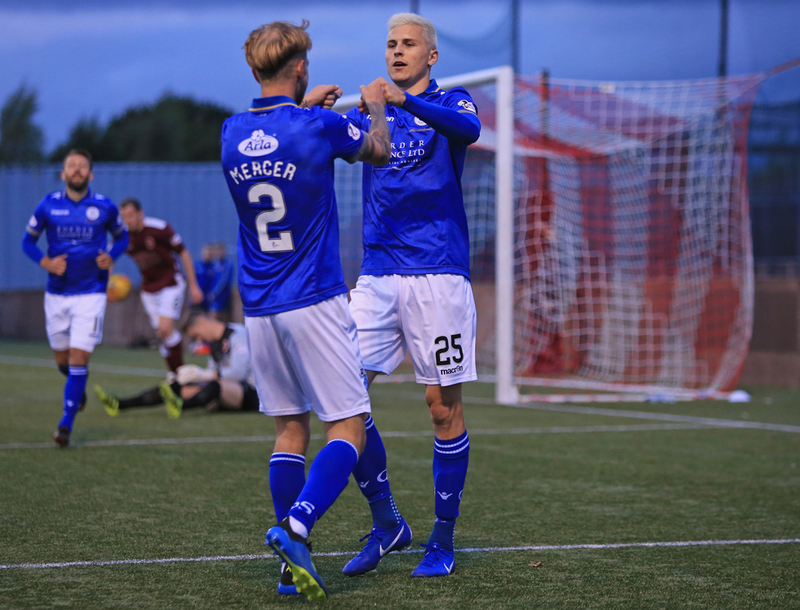 It was all Queens now, although the home side did get a lift when new on loan signing Kevin O`Hara, on loan from Falkirk, replaced Doonhamer Colin McMenamin on 64 minutes. It was short lived, however, as the game was well and truly finished on 66 minutes and it was that man Dobbie again. An attack down the inside left looked to have fizzled out but the Stenhousemuir defender lost the ball and it fell to Dobbie 20 yards or so from goal. There didnt look any immediate danger but Dobbie took a quick shot that absolutely flew past Smith who had little chance of seeing it never mind saving it! 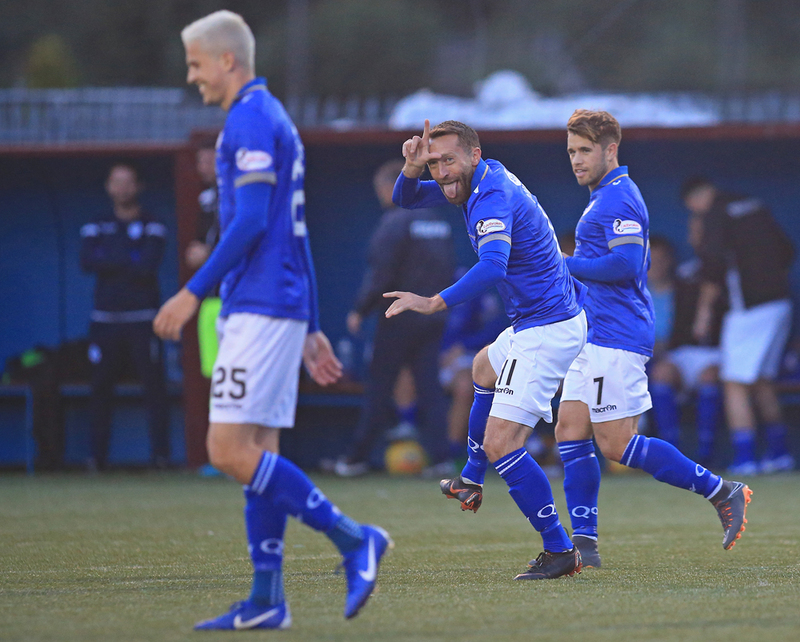 A fine and fitting goal to take Sir Stephen past Lyle and into 3rd place in the clubs all-time goal scorer list with 118 goals - just 2, now, behind Bobby Black. 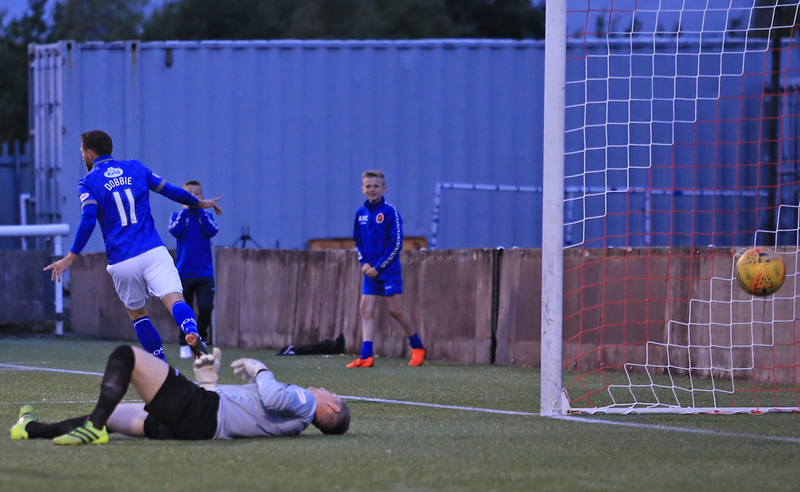 Of course, everyone knows how much Dobbie likes a hat-trick and he almost got another right at the end, thanks to some good work by Dan Harvey, making his debut as a 73 minute substitute for Jordan Marshall. The young defender sprinted some 50 yards down the left before collecting an inch perfect ball over the top from Harkins. Harvey continued his run as he burst to the bye line. Impressively, he still had the presence of mind to look up and played in a low cross towards Dobbie at the front post. It looked certain that Dobbie was going to sweep the ball into the net and only a last ditch lunge from the defender took the ball off his toes and onto the post and out for a corner. 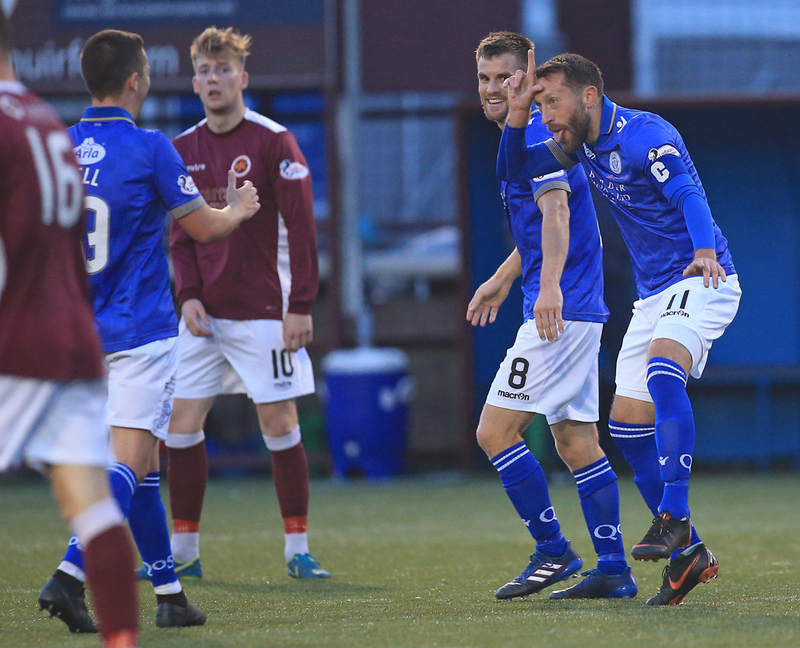 So in the end it was job done, quite comfortably, but it took the introduction of Dobbie to turn the game in Queens favour. The draw for the second round takes place on Thursday 16th August at 1pm, with the ties to be played the weekend of September 8/9th.